We’ve reached 24 weeks, and it’s such a great accomplishment because it means if the babies were born now, they’d have a 90 percent chance of survival with medical intervention. And the odds just keep getting better for survival with each passing week from here on out, so I’d say this is a major milestone! Feeling: I had a regular checkup last week, and I’m measuring as if I were 30 weeks pregnant! I can only imagine how much bigger I am going to get. I can no longer see my feet when I look down, and my belly button is almost an outie because it just can’t stretch anymore! Sleep: Sleeping almost in a stitting position due to acid reflux, and getting up to use the bathroom probably every hour even though I’m trying to drink less water in the evenings to avoid all those trips. Food cravings: Ice… I hope that’s not a sign of an iron deficiency. I’ll have the anemia check and glucose screening pretty soon, so cross your fingers that all is well and this craving is just a craving. Movement? The babies movements are getting stronger, and I expect to start feeling some rib shots soon. They are most active between 8pm and 10pm, and I feel them moving when I wake up in the middle of the night, but their movements don’t keep me up yet. 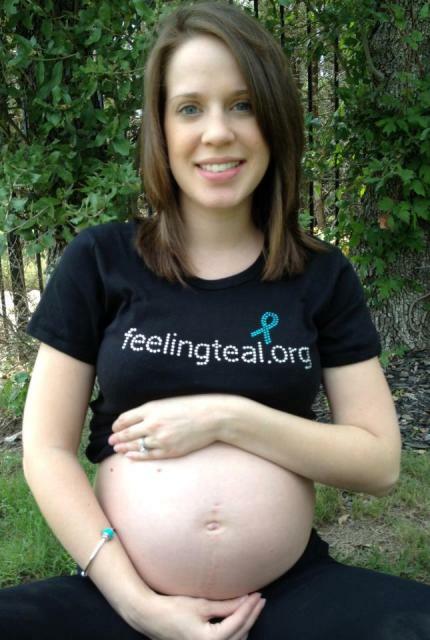 Here’s a bare belly bump picture taken at 23 weeks to kick off the start of Ovarian Cancer Awareness Month in September. 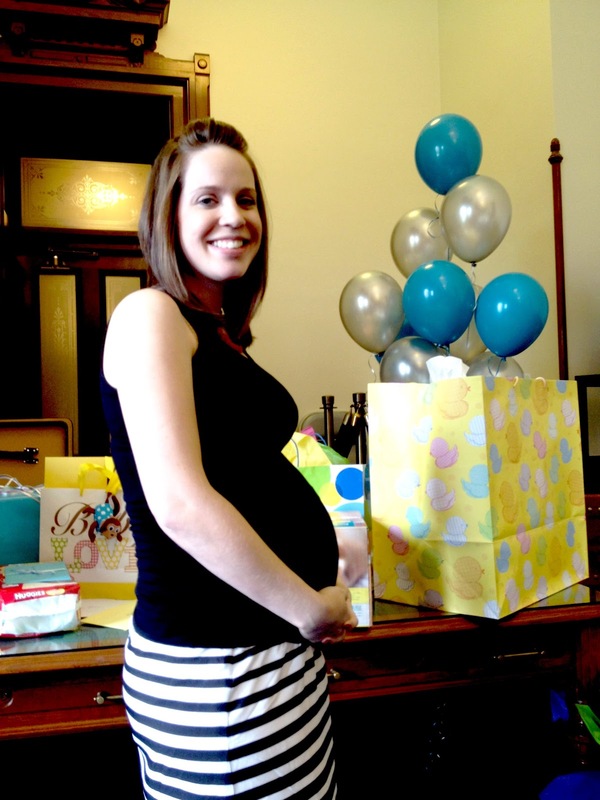 And a 24 week bump picture from my work shower on Friday. I wear my scar proudly! I have the best co-workers/friends who were so generous. We are so appreciative of the pyramid of diapers that now fills the bottom of the babies’ closet, the cute clothes, burp clothes, blankets and so many other necessities we received. I feel very blessed and lucky to have formed so many meaningful and forever relationships at the office. This is the first time a workplace has felt like a real family to me, and it will be so hard to say goodbye at the end of the year. My thumb is greener than I thought! Aw, you look gorgeous with your beautiful belly! Congrats! Thanks for stopping by my blog, the dresser you asked about it from Babies R Us, but I bought it several years ago. They have great well-made baby furniture though. Thanks Lindsay! I will check Babies R Us.